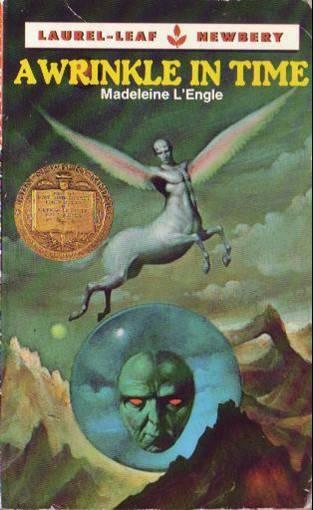 In 2012, A Wrinkle in Time will be fifty years old, and I’ll be one of many people celebrating this marvelous, mind-bending, heart opening piece of children’s literature. It’s been a dark and stormy week here in a Chicago, which makes it a perfect time to reminisce about this, one of my favorite books of all time. It was 1988. I was in the fourth grade, I had English class with Mrs. Sandoval. I loved her name–it was pronounced “Sanduhvall” (rhymed with fall)–but when I saw it, I always imagined an oval shaped sand box. I loved her eloquent speeches, her expressive reading voice, her slightly bohemian clothing, and her ginger hair. I loved her classroom, full of books and rich with new ideas and words. One of her rules was to “finish assignments within the allotted time.” I had no idea what “allotted” meant or that it was an actual word, and I, in my over-read fourth grade know-it-all-ness, asked her, “Are you sure you don’t mean ‘allowed’?” She kindly said no, allotted is the word she meant to use, and she gave me the dictionary so I could look it up–and so began my love of dictionaries. We read so many good books in that class, including A Cricket in Times Square and Charlotte’s Web. Half-way through the year our class reading assignment was A Wrinkle in Time. The edition we read had this amazing, wackadoodle, good show sir worthy cover: Isn’t that insane? It completely blew my nine year old mind. The wings for arms, the creepy red-eyed disapproving turtle face, the mountains…several kids in my class mumbled and groaned their displeasure when they saw the book (actually, they hated every book, and I hated them with equal fervor), but I could hardly wait to start reading. And that opening line! Who else could get away with using that line outside of the Bulwer-Lytton fiction contest? Madeline, that’s who. I immediately loved and identified with Meg Murray. Like Meg, I was an ugly duckling who had to protect herself and a younger brother from the cruelty of other children. I admired Meg’s hot-headedness and her willingness to stand up for herself and her beliefs. When I was faced with bullies, I tended to hang my head and wish for them to go away. I wished I had Meg’s foolhardy bravery and determination (I developed it as an adult, much to the chagrin of some of my friends, family and colleagues) instead of my low self-esteem and self-hatred. I loved other characters, too: Charles Wallace, Mrs. Murray, the Ws, and I loved loved LOVED Calvin O’Keefe. What dorky, awkward girl didn’t love charming, awkward Calvin? 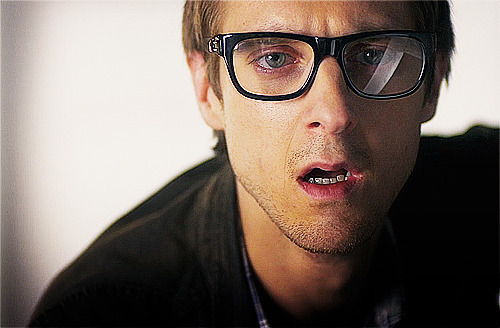 He’s like the proto-Rory* (maybe that’s why I love Rory so much…) I loved to hate IT and its creepy, pulsing brain-ness, and the man with red eyes. I loved how Mr. Murray was real and flawed and yet Meg still loved him. (I myself had a real and flawed father who was proving to be less and less loveable every day, but that’s another story for another time). I wanted to live in that rambling old farmhouse and eat tomato sandwiches and have an attic bedroom and a dog named Fortinbras. I was fascinated by how they made hot cocoa with milk, since I was used to powdered hot chocolate made with boiling water, usually in the microwave. I was as amazed at the mundane day to day details as I was at the time and space traveling aspects. This book was everything I needed and wanted. I loved this book so much that not even hearing my fellow students reading aloud in their plodding monotones could hurt the story. While they stumbled along I was reading ahead, silently, desperately wishing to reach the end while simultaneously wanting the book to go on forever. I cried when Meg saved her brother by loving him. I had never felt love like that from anyone, and I didn’t think I ever would. I couldn’t think of anyone in my life who would risk so much to save me, and I felt miserable, yet strangely elated—if brassy, bitchy, mousy, insecure Meg could find love, didn’t that mean that someday I could, too? I wished, that when I was cold and alone and scared, that I could crawl into the warm, loving arms of an Aunt Beast. When I re-read this book, I experience my own wrinkle in time. I am simultaneously an adult, identifying a bit more with the adult characters in the novel, finding myself somewhat exasperated with Meg’s behavior, and a child, thrilling to the romance, danger, and overwhelming love of the novel the same as I did the first time I read it. Someone recently told me that they’ve never read Wrinkle, yet they really enjoyed When You Reach Me. I said, I’m glad you enjoyed the book, but you only had half the experience. You should fix that. Right now. Especially if it’s a dark and stormy night as you read this. 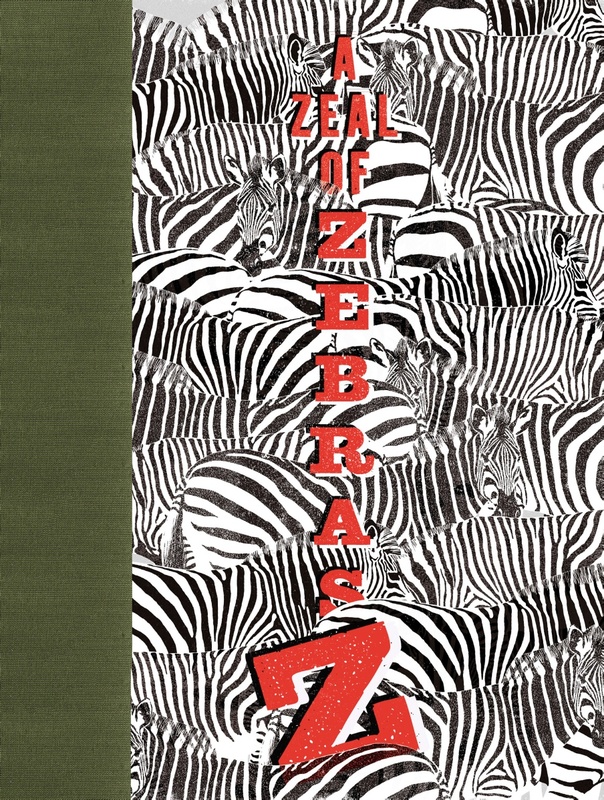 I’m not gonna lie, I’m a word nerd, so when A Zeal of Zebras: An Alphabet of Collective Nouns arrived in my mailbox (1) I literally (2) squealed with delight. Beautifully illustrated examples of wackadoodle collective nouns? Yes, please. There are always six ravens living at the Tower of London, a tradition that started in the nineteenth century. Legend has it, if the ravens leave, the great White Tower will collapse and a terrible disaster shall befall England. There’s no source for this little tidbit, though, so I wouldn’t necessarily use this book for fact finding; however, as a gorgeous introduction to some wonderful, perhaps underused parts of the language, it’s aces. 1) I don’t actually have a mailbox where I have books sent. It’s more of a shelf. 2) I want the wherewithal to beat, with a stick, anyone and everyone who misuses “literally.” Actually, let’s just put the word away in a drawer until people have forgotten about it, and we can reintroduce it into the wild when people have a renewed respect for it. Reviewed from a copy provided by the publisher, Chronicle Books.